The word hypo-allergenic was for the first time used by cosmetic manufacturers. 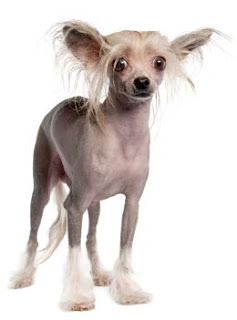 With time, the dog breeders came to the conclusion that the phrase ‘ hypo-allergenic’ was the most suitable description for describing the none shedding and hairless breeds that the people with allergies could live with. Thus, we can say that hypo-allergenic dog breeds are those specific dog breeds which are most suitable for allergy prone people. But now the question arises that do such dog breeds really exist which the people with allergies can live with? Of course, that’s true. I can claim so because I have a cousin who suffers from asthma. She had serious problems with animals but yet she was fond of them all. This led to serious trouble while she was small. She would cry demanding for a little puppy but for quite a long time, every time a puppy was brought for her she’d have her asthma attack. However, finally a poodle was brought for her and no such problem was encountered. Similarly, you might have come across many such living examples. However, we can not under any circumstances claim that hypoallergenic breed is completely free of allergens. In fact, all dogs produce allergens. However, a hypoallergenic breed produces less allergen than the other breeds. Thus, we can say that it is actually the degree of intensity of allergen production which makes a dog hypoallergenic. Breeds known to produce less allergen as compared to the other breeds are termed as hypoallergenic. Size is an important factor which may be used to determine hypoallergenicity. Smaller dogs will leave less environmental pollutants containing dog dander and god allergens and hence are considered hypoallergenic. This is due to the fact that there is less total body surface to produce allergens in small breeds. However, since all dogs produce saliva, there can be no complete escape from the allergenic proteins. During barking the saliva and dander are produced due to which we can say that excessive barking may contribute to high levels of allergen dispersals. In order to ensure perfect health as well as a lifetime companion, we advise allergy sufferers to do their own research and talk to breeders. Below is a list of hypoallergenic breeds which we hope shall be helpful in your search. Wish you a good happy bonding. Click on the Breed Name for detailed article on the breed with health care information for each breed.